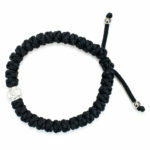 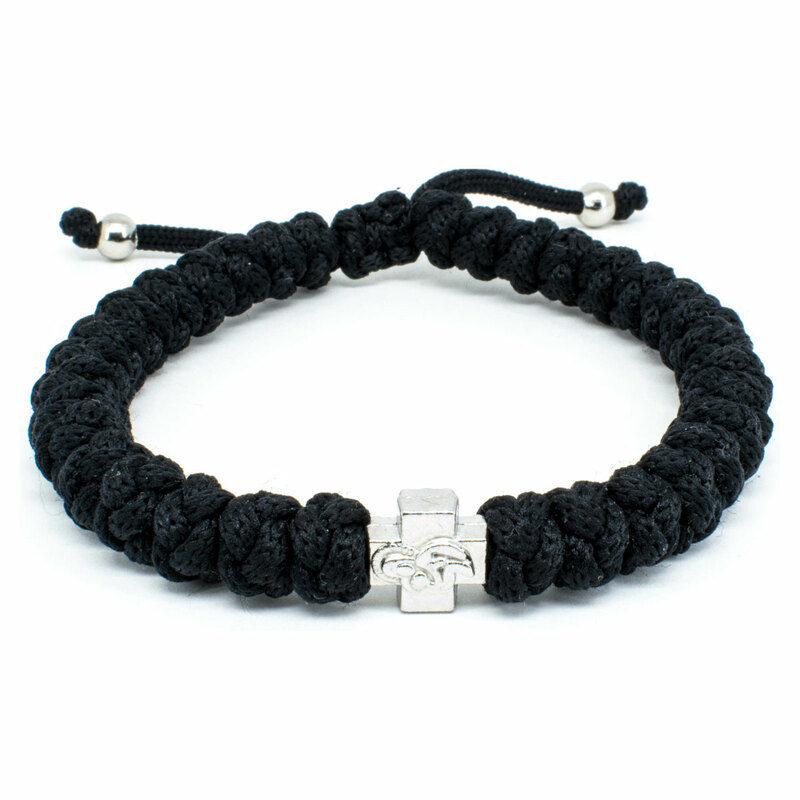 This adjustable black prayer bracelet is exclusively available in our store. 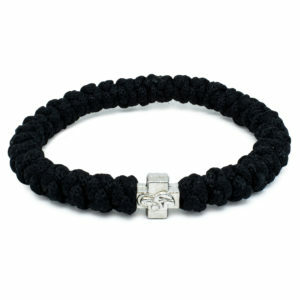 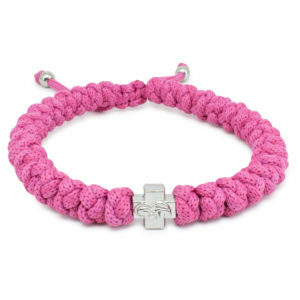 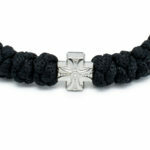 Just like the normal prayer bracelet, this bracelet has 33 knots and one divider cross bead. 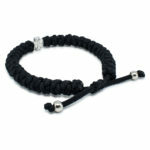 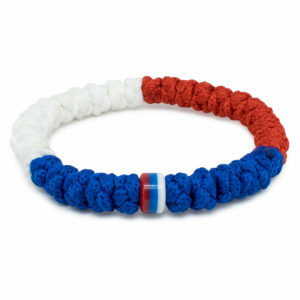 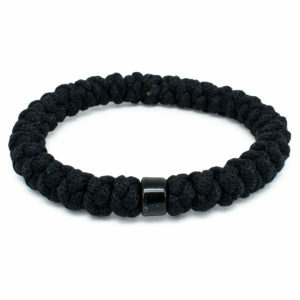 The big difference is that it has a sliding knot, which makes this bracelet adjustable in size. When you pull on the two cords, you can tighten or loosen the bracelet. This new style bracelet has also been blessed by the Orthodox Christian Church and it is exclusively available in our store.